Fast, easy and cheap. 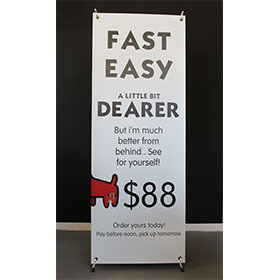 Promote your business on our large format Economy X Banner. Advertise, transport, set up and pack down with ease using a light weight frame and high end printing. Indoor & undercover use only. 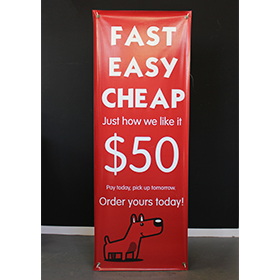 Promote your business easily on a quality large format X Banner. Advertise, transport, set up and pack down with ease with this quality X frame and high end printing - Indoor & undercover use only.